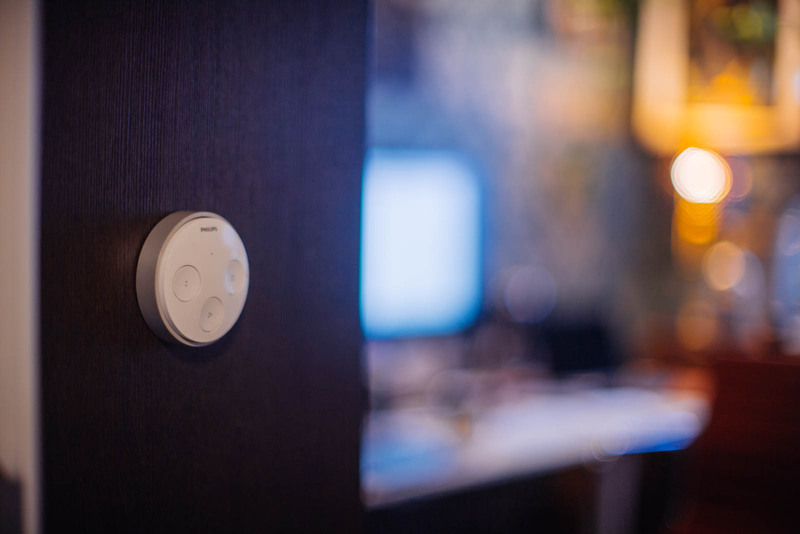 Apple’s home automation system Homekit has been in my life for a few years now, which means that it is time to evaluate how it helps me to keep my house under control, which accessories work, and which don’t. This winter 2018 review of HomeKit starts before I even wake up. In the background my smart hue bulbs gently turn on slowly spreading a pleasing warm white color. 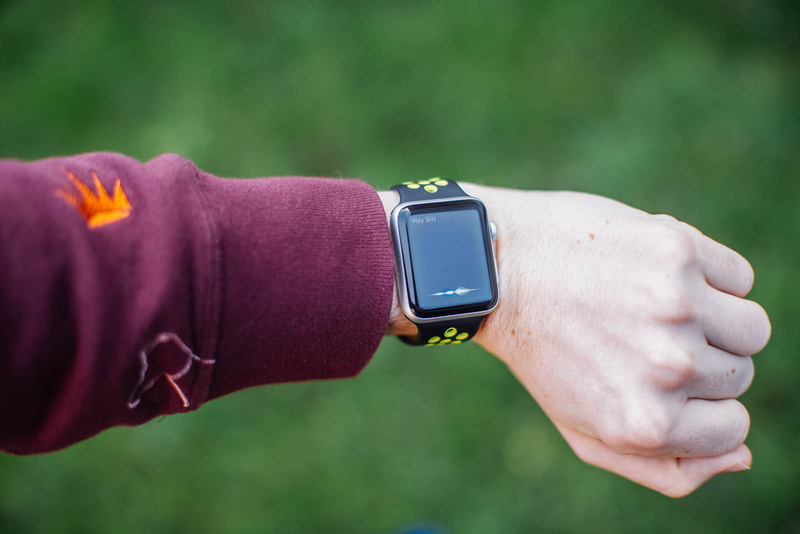 Over the course of the next fifteen minutes they will increase in brightness and cool the light of their colours, giving my body a natural way of waking up fully energised. The fact that every bulb in my house has been connected to this system means that I have full control over every light in the house from my phone or even with my voice. 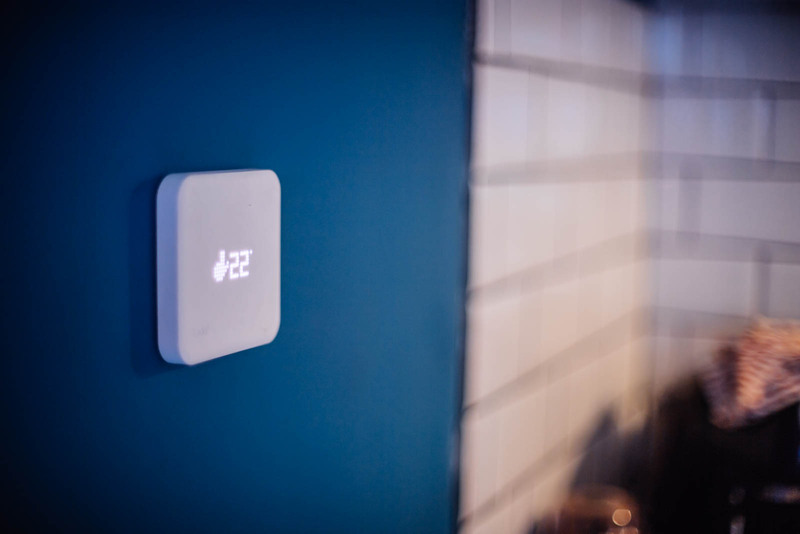 Another thing happening in the background is tado, our smart thermostat. It has been heating the house from a colder 18 degrees to a nice 21.5 degrees Celsius based on a simple schedule. My alarm goes off on my iPhone. I stop it and press the Logitech Pop once, which is next to my bed. The lights in the bedroom turn to 100% brightness and in the background my Sonos starts playing Beats 1. Technically, Sonos isn’t connected to HomeKit just yet but the Logitech Pop connects to the individual services. So this workaround works, for now. 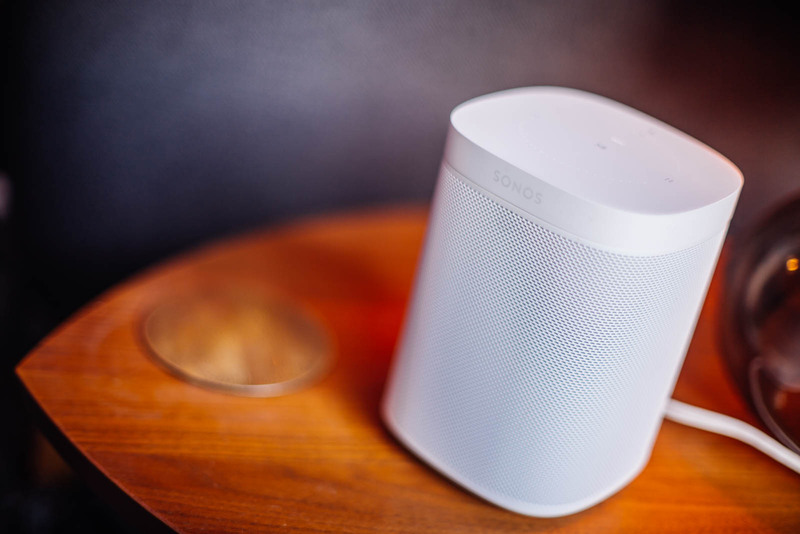 The new Sonos One does support Amazon’s Alexa, which connects to most of our devices like the Logitech Pop, but has no control over services like Apple Music which is my preferred way of listening to music. 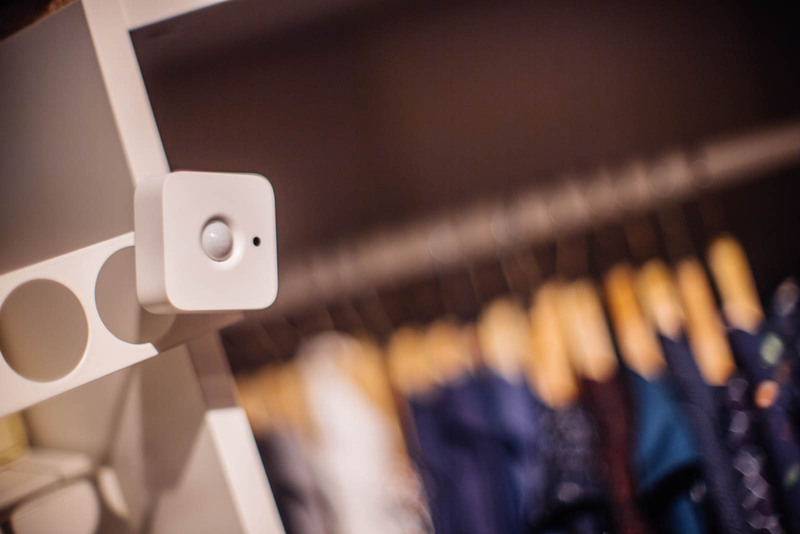 I walk into our dressing and thanks to the hue motion sensor three hue GU10 bulbs illuminate the room. I pick my clothes and Apple Watch band for the day and move over to the living room. I don’t have to switch off the dressing lights since the motion sensor will dim the light as soon as it doesn’t detect any motion after a set number of minutes, and then simply switches off all the lights. Another bonus is that it has a built-in thermometer so I suddenly have a lot of extra information about my house in my HomeKit overview. Just to check, I open the Home app, and see that the Eve Room from Elgato has measured the Air Quality in the bedroom to be just ‘fair’, so I open a window to let some fresh air in. However, the data is still very slow to load information, which is a pity. Time to start grinding my freshly roasted coffee beans and make a cappuccino. I could find a simple filter coffee machine and connect it with a smart power outlet, but I prefer to have some control over my coffee. As if by magic, all lights turn off in the study. Well, except the one on my desk that HomeKit has issues connecting to it seems. 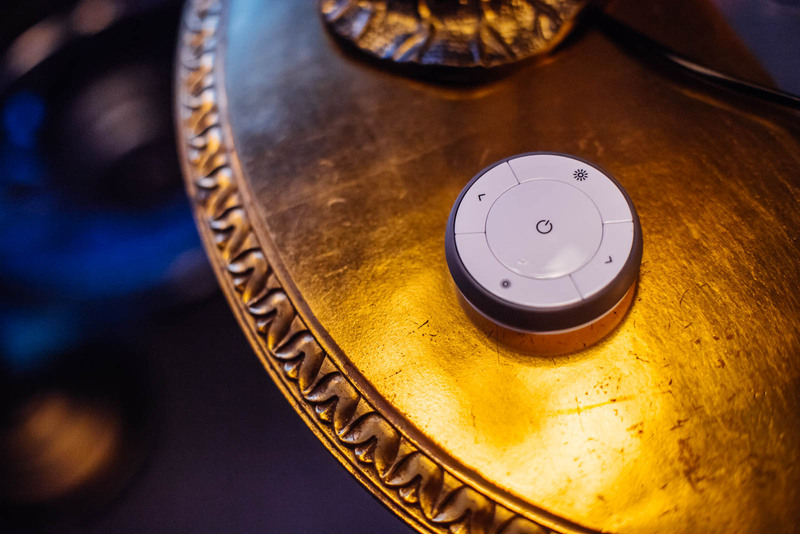 Smart Technology is brilliant, but sometimes quirks happen. In this case, that bulb doesn’t seem to have a direct connection to the bridge, but it works through the signal hopping ZigBee protocol that the hue bulbs use. For some reason HomeKit doesn’t seem to hop over to that bulb. It’s an annoying bug but something that probably will be fixed in one of the many software updates. For now I open the hue app and switch off the light through there. It works as it should. I get a mail that my package has been delivered to a nearby post collection point. What’s the use of a parcel service if they can’t seem to find your front door, right? Lucky for me, the pickup point is nearby so I go to the basement, pick up my bike and leave. Since my girlfriend is working from home today, the tado app detects both our locations, and decides to keep the temperature current. Back at the homestead! I got a brand new piece of decoration for our summer house. What started as a garden shed, has become a reading room for spring and summer days. At the entrance I grap the magnetic IKEA TRÅDFRI button from the wall and push it. All of the lights in the summer house spring into action. The system is similar to hue, but powered by IKEA. This cheaper alternative is a bit simpler, but also more budget friendly. 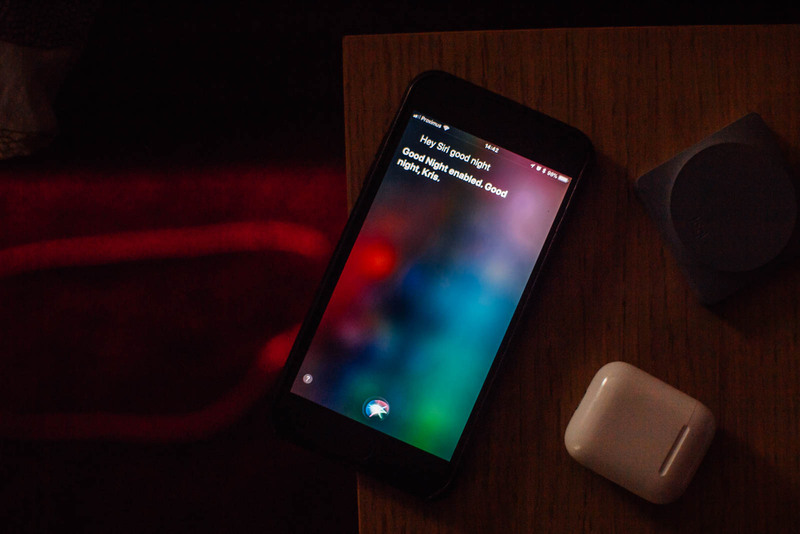 Since the update last autumn, it now can be powered by Siri and Homekit as well. The only thing missing is two decorative E14 bulbs that IKEA have yet to release. 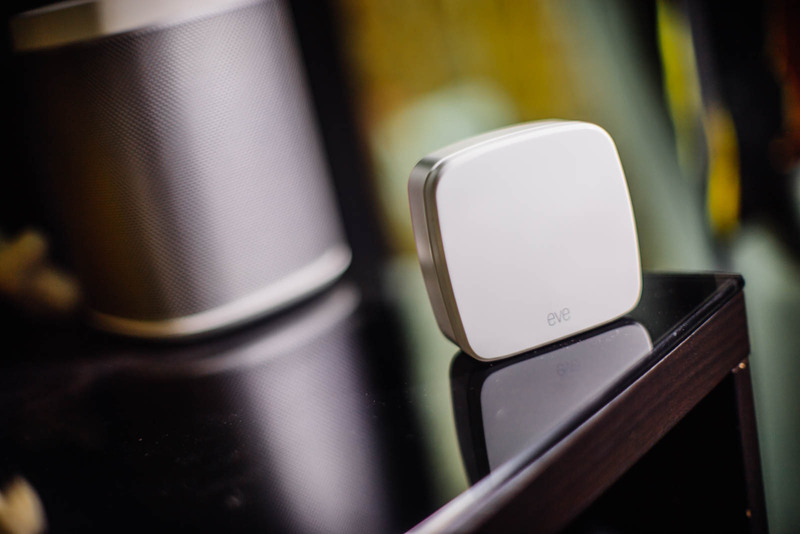 Until then we are using an Elgato Eve Energy to power them on and off. I install and re-orden some items, and it’s time to continue working in my office. We leave for some groceries. This doesn’t happen too often lately, since we get a weekly delivery from Marley Spoon containing all the ingredients we need for three meals per week. Where we live, Deliveroo and Uber Eats also operate. But sometimes you really need to do a store run and today is one of those days. We leave, and I push the third button on my hue tap. It triggers the Leaving Home scene, turning down all the lights and it closes the curtain in my office. It also sends a signal to tado to lower the temperature. Even without that signal it would have happened anyhow, since it detects that both mine and my girlfriend’s phone are no longer at home. Halfway to the store I get a push notification. 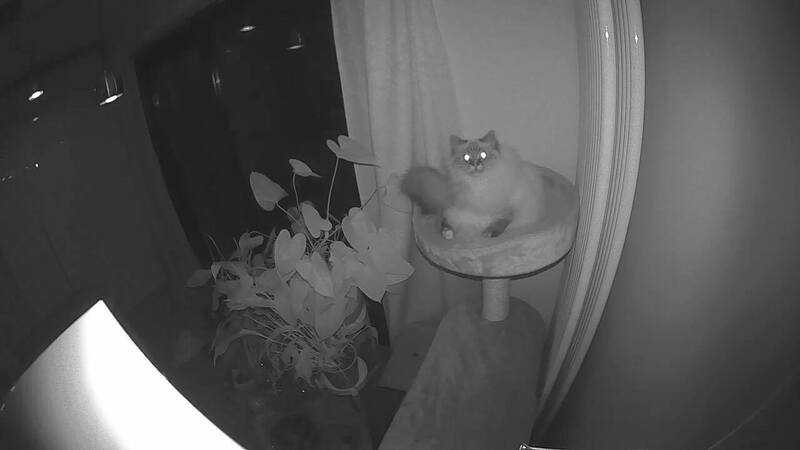 The Logi Circle 2 camera has detected activity and has started recording. I tap the warning on my Watch and immediately see the culprit. Our cat Luna has decided to become active and has jumped on the table for some tasty treats. Since that isn’t her normal behaviour I open the Logi Circle app on my iPhone and give her a stern down talking which should blast through the living room. It works as I watch how she jumps off the table. The threats of danger are safe for another day and it’ll be a fun memory to see in the Day Brief that the Logi Circle app creates. We do however decide to pick up another cat toy. Let’s see if she will have any interest in this one. (She didn’t…). Back into the car we get a notification showing the quickest way home. This isn’t HomeKit, but it’s part of the proactive Siri and CarKit. Since it’s cold and raining outside, I figure the heating could use a few extra degrees. We tap the Siri button on our steering wheel and ask her to raise the temperature by a couple of degrees so it’s nice and toasty when we get back. Finally we arrive home. The sun has already set and HomeKit has automatically turned on a few lights for us while we were gone. Now we’re coming home, some more lights have already turned on automatically, and some curtains are closed. It’s nice and warm in the house and immediately we start cooking. 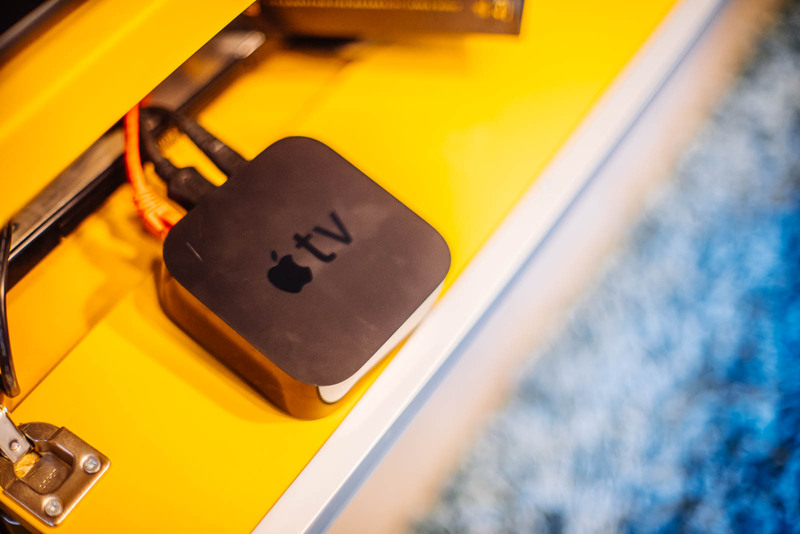 The Apple TV, both a source of entertainment as the center of our connected home. 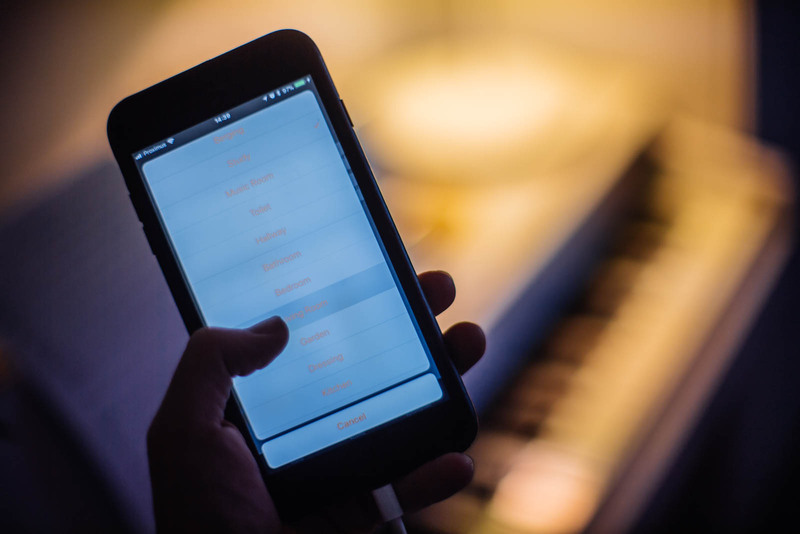 The rest of the evening we activate several scenes like Lunch Time, Living Reading, and Movie Time by asking Siri, or pushing the HomeKit widget on our Control Center on either our iPhone or iPad. The entire mood of the house changes with just a simple command. By changing the colours and intensity of the lights, we are able to create different zones, that either center on the kitchen isle, the sofa, or a little corner of the sofa and the piano. It makes our compact living room feel a whole lot bigger. Central in our home is our Apple TV. 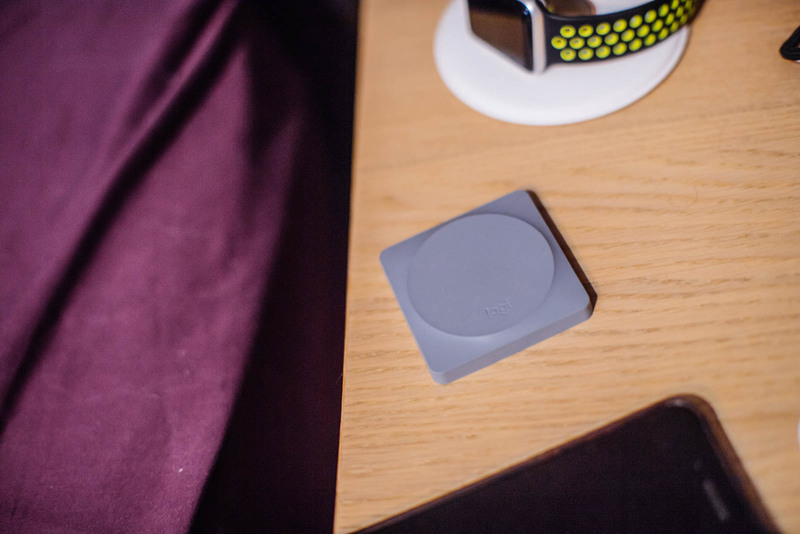 It’s not just a great way of streaming content from Netflix and Amazon Prime, but it’s also our out-of-home connection for all our HomeKit accessories. 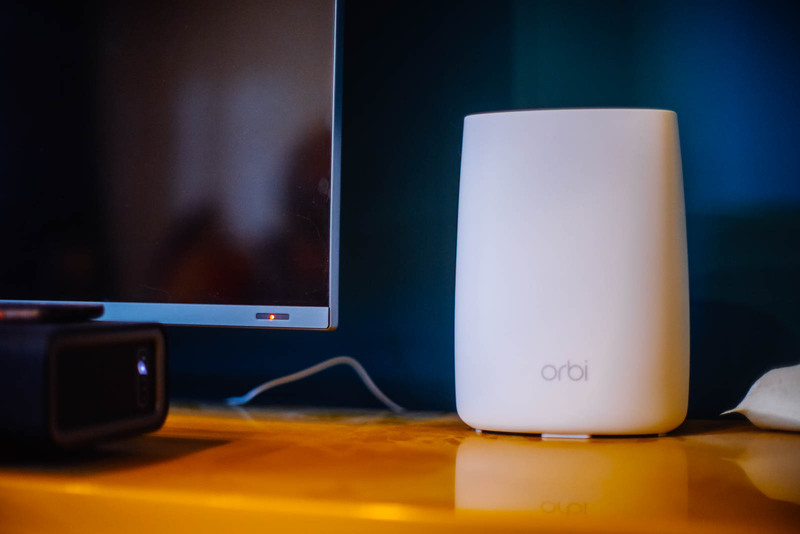 All HomeKit bridges are also connected to our Netgear Orbi’s routers. They provide a mesh network all over the house. It’s time to go to bed. As soon as we’re both comfortable Siri gets another request. The LED strip above the bed springs into action, giving out a pleasant reading light, courtesy of the hue recipes. My girlfriend has fallen asleep, and as not to wake her, I push the Logitech Pop button twice. The LED strip above the bed turns off, and all the other mood lights turn deep red at 1%. It’s just enough to have some atmosphere in the room, but still dark enough not to be disturbed by it. The Living Room Sonos silently starts to play some relaxing jazz to put my mind at ease. And I start thinking on how HomeKit has made my life easier. The question is, has it been worth the investment? Currently we have 40 hue light sources spread around the house. Add that with a dozen more accessories, sensors and triggers, this has been a serious investment over the years. And some might say I have over-done it with seven lights in my small office, or five lights in the bedroom but by spreading out several lights, the technology allows me to set a scene very effectively. But is not just technology for me. 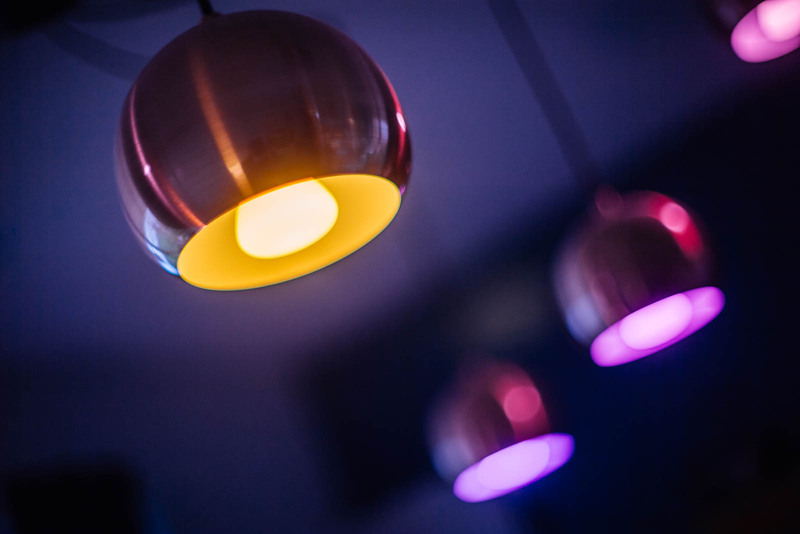 By spreading out lights I can easily eliminate overhead lights or dim light to a few percents of red, orange or purple. Being a photographer, I paint with light all of the time. That’s my day to day job. So it comes to no surprise that our home feels much more colourful than your average apartment. Still, even if you disregard the colour aspect, technology makes life a whole lot easier. I could even live without the colours, the control and automation make it all so much easier. It’s simple to forget just how easy it becomes. For example I was at my father’s place a few weeks back, and I was the last person in the house to go to bed. For the next few minutes I had to check all the rooms if the lights were out, where to find the switches for the small lights in the room, turning down the heat, switching on and off lights in the stairwell during my ascend to my old room. It’s also an amazing tool for my girlfriend who suffers from EDS. 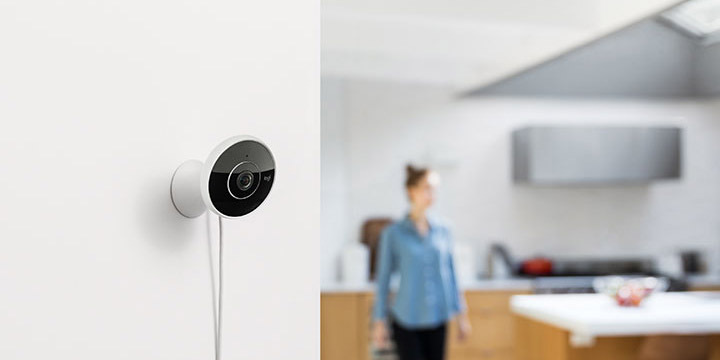 It gives her the possibility to talk into her phone or watch and have the house adapt. To her it means she has to spend less energy on futile things like getting out of bed to turn off a light. Technology truly helps but it blends into the background and you simply forget how amazing it really is. It also creates some unexpected results. For example last week my girlfriend forgot her phone at home, so the heating kept warming our place while we were gone. We could’ve easily changed it on the go from my phone, but none of us made the assumption that we had to, because the system was smart. It did precisely what it had to do, if she hadn’t forgotten her phone. I’m happy we did it, and still, after all these years I grin when thinking of all the things that happen when I say Goodnight to Siri. While everyone is sleeping, a HomeKit automation turns off any forgotten lights. The next morning I find a notification on my phone. Luna looking straight at the Logi Circle at night.